St. John’s native Marcus Power has earned the Atlantic University male athlete of the week award for his stellar performance for the UPEI Panthers. The 22 year old centre recorded 5 points in two playoff games to lead the Panthers to a two-game sweep of the Acadia Axemen in the best of 3 quarter-final action this week. Power’s production game in the form of a goal and four assists, with his lone goal being an overtime winner giving the Panthers game 2 by a score of 4-3. 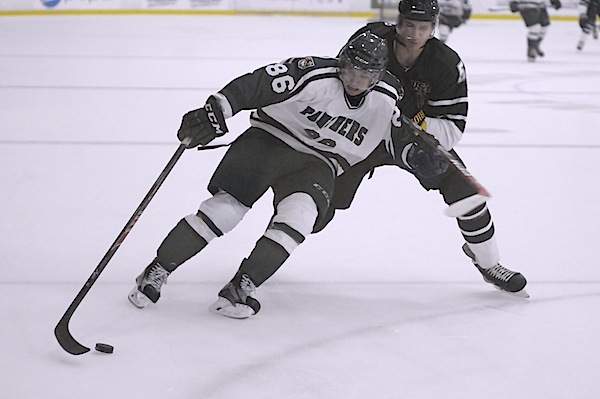 Power takes to the ice again on Thursday night when his Panthers face off against the New Brunswick Varsity Reds in the best of 5 semi-final series.